So, you have your Facebook business page set up and you are posting a few times a month but you have no activity, no likes, no shares and no business from it. The issue may be the number of Facebook likes on your page. If you only have a few friends and family who have liked your page then no one is seeing your Facebook posts. Growing your Facebook likes is a long-term project that needs your attention at least weekly if not daily. It is not a sprint but a marathon, as you go a long and gain more Facebook likes over time you will see an increase in activity which may lead to an increase in sales. Below are a few tips you can use going forward to increase the Facebook likes on your business page. Facebook ads are very effective in getting more people to like your business page. These are the sponsored ads that appear on your wall. They usually have a like button so you can easily like the page. You should have a like button on all you outgoing communications with your clients and prospects. 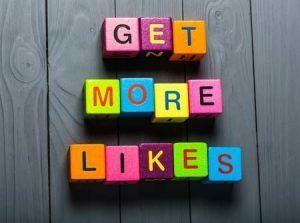 A like button on your website, email blasts and blogs reinforces the value of going to your Facebook page. Everyone has their own schedule for being on Facebook, from morning till night people are checking in. You should schedule your posts at different times to find the ideal time to post. If you are seeing that your posts have more interactions in the morning then at night, you should schedule more of your posts in the morning. Invite people form your personal page to like your business page. There is a button on your business page to make it very easy to invite your friends to like your business page. Offer incentives to people to like your business page; a free month or 10% discount whatever makes sense for your industry. Facebook is a very powerful tool for all businesses. Maximizing your Facebook likes is going to give you additional exposure and increase your marketing base. Call GIT today to schedule a free consolation.